After three months of hard work that produced historic and much-needed legislation, the 92nd General Assembly has adjourned. "Together, we cut taxes. We raised teacher pay. We funded roads and highways, and we passed legislation that will bring more efficiency to state government." The passage of this legislation completes the Governor’s four goals (“Four ‘Ts’”) for this year’s legislative session – competitive tax cuts, transportation funding, teacher pay increases, and transformation of state government. 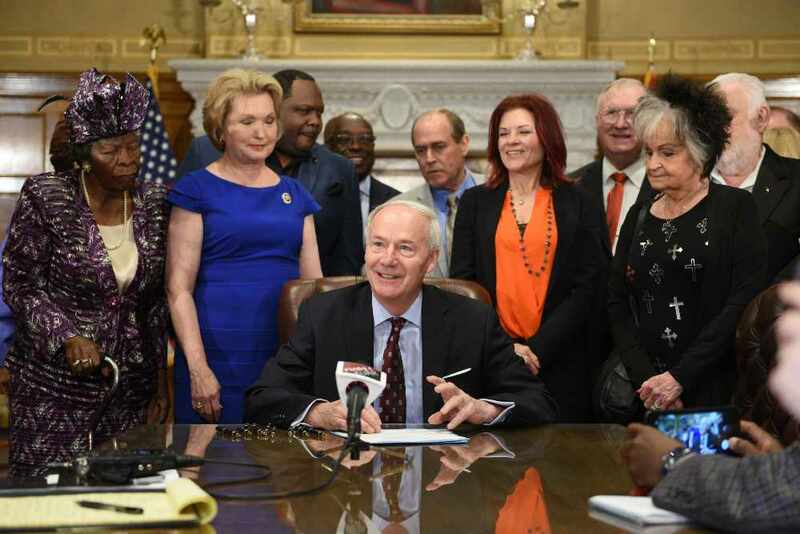 Governor Hutchinson signed the historic legislation during a ceremony on the front steps of the State Capitol. "It was an honor to sign these two bills that help tell the story of the great state of Arkansas."